For your home grooming needs, you'll need dog grooming supplies. You'll want to invest in brushes, medium tooth metal comb, scissors, nail clippers, special doggie shampoo and conditioner, dog grooming clippers, doggie toothbrush and toothpaste, cotton balls and a towel. If you want to bathe, brush, dry, clip the hair and clip the nails at home it can take 6 hours for a standard, 4 hours for a miniature and 3 hours for a toy poodle to go from dirty to beautiful! Clippers shave hair while scissors cut the hair. Keep in mind that clippers can have dull blades which will nick your poodle's skin (just like us owners who shave with dull blades). And blades get hot with prolonged use. 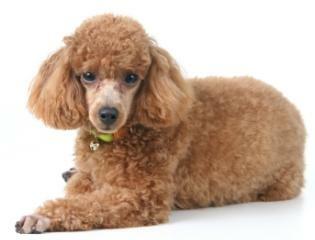 Don't put hot blades on your poodle's skin and burn him. 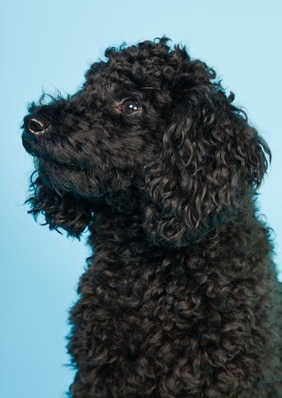 Ask a professional groomer for some poodle grooming tips for home. 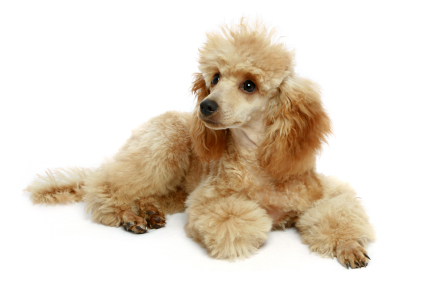 Grooming a poodle includes detangling hair with a wire slicker. A pin brush works well on the ears. Place him on a non slippery surface about hip high to you (you can also buy a grooming table but expect to pay around $100 for a new one.) Make this his regular grooming place. Start brushing at his hindend, then back legs, tail, front legs, body, and head. Brush close to the skin without touching the skin. You can spray her coat with water or water and doggie conditioner lightly to help make brushing easier and prevent hair breakage. Brush small areas with quick, deep strokes. 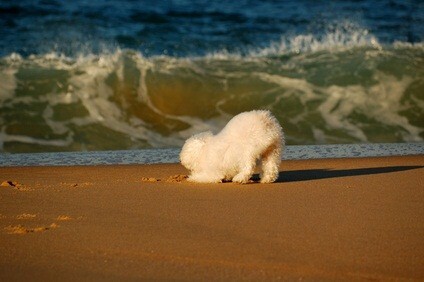 Be sure to brush your puppy's hair in the opposite direction from how it grows, don't tug or pull hard. Your adult poodle should be brushed the way her coat grows then go against. Once he is brushed, use your metal comb to go over the hair to get any tangles that the brushing missed. You can also use your fingers to gently detangle. Their hair doesn't get much clipping! It's rolled up in thin long strands that resemble dreadlocks. It takes a lot of time to get their coats in spirals and it's harder to clean. Probably why we don't see very many of these. The ends need to be trimmed and his stomach shaved regularly. The corded coat needs more frequent washing and needs to be blow dried, not air dried. Home grooming, with the right dog grooming supplies, works well in conjunction with professional grooming every 6 or 8 weeks. 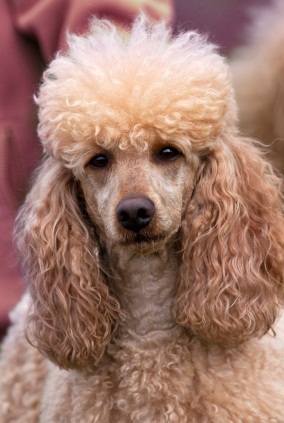 Keeping the poodle's coat tangle free helps it stay healthy, and it's less stressful on your poodle when you don't have to work hard to get a brush or comb through his hair.